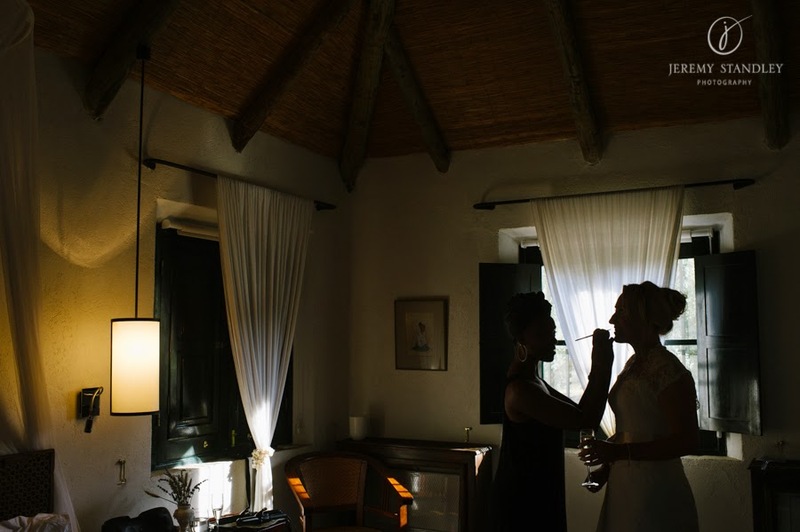 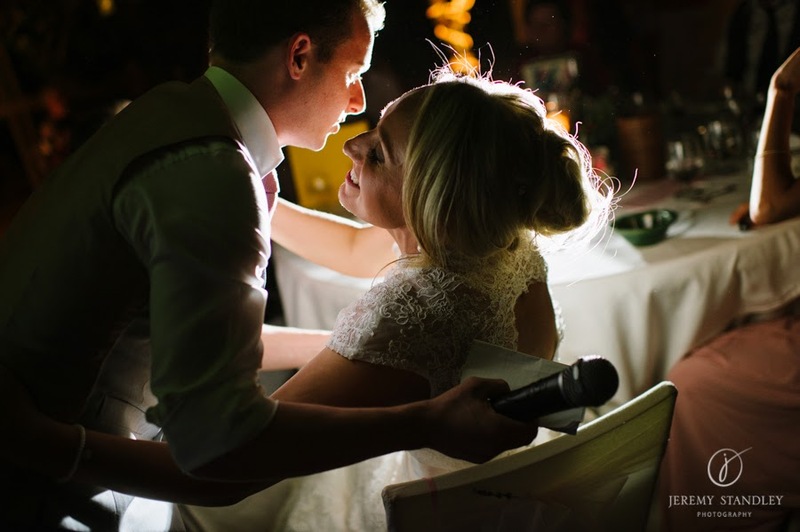 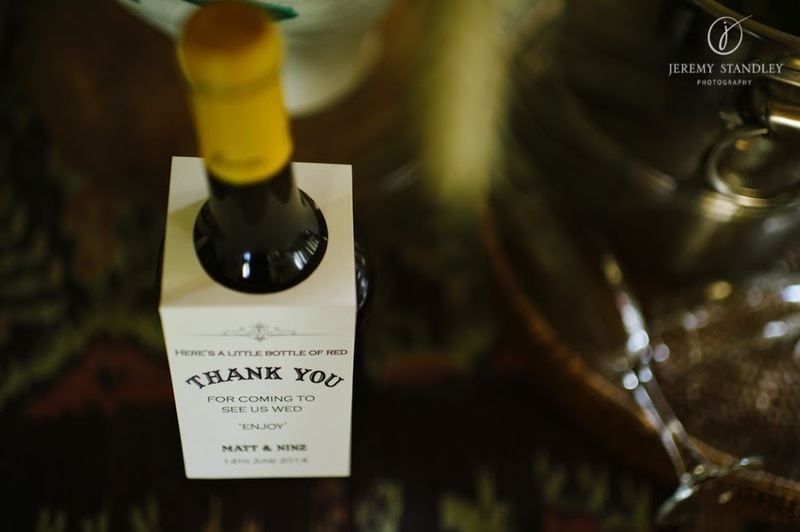 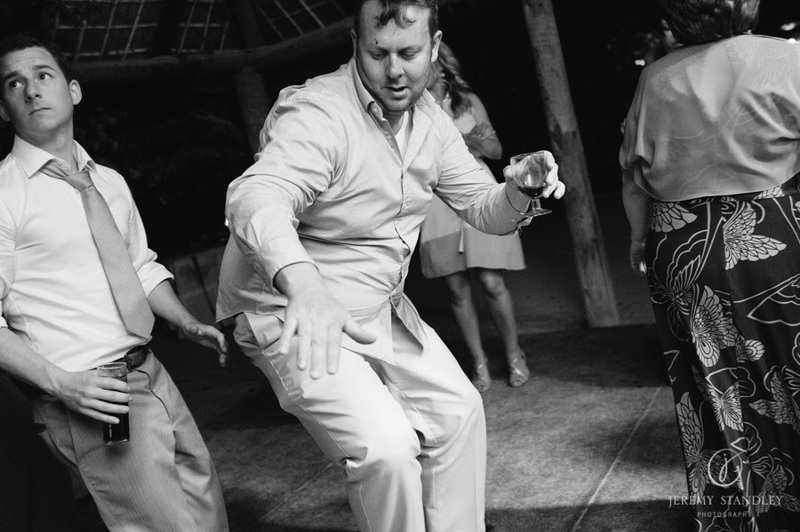 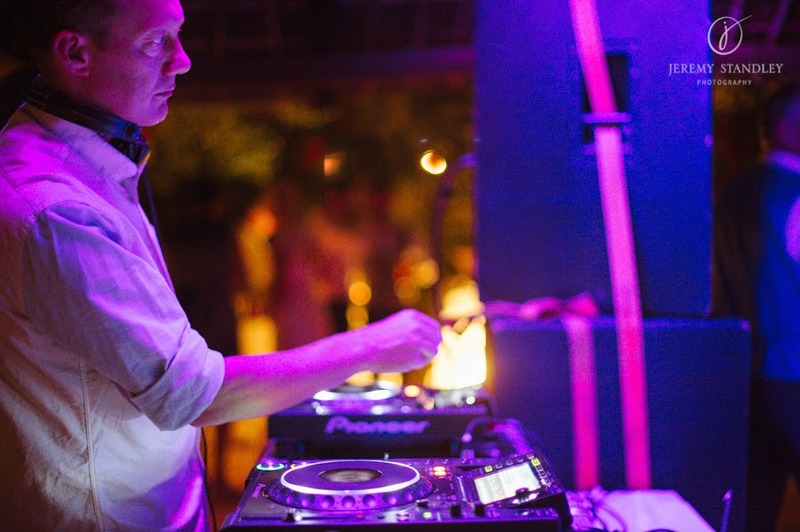 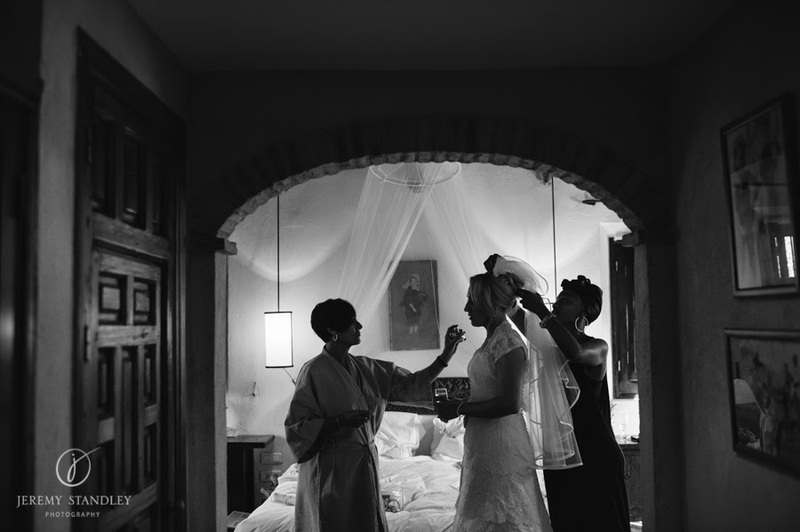 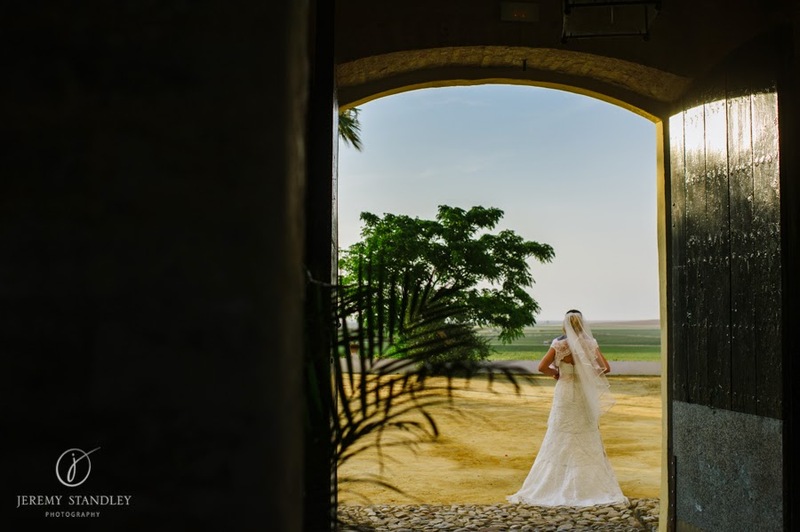 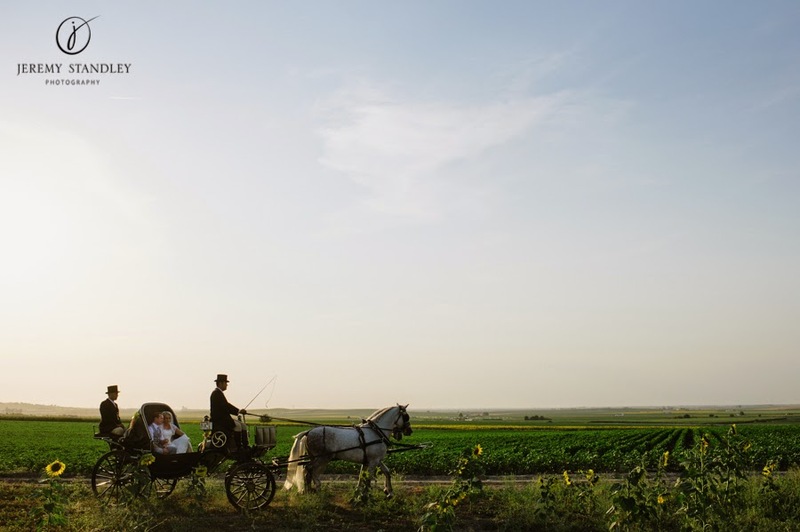 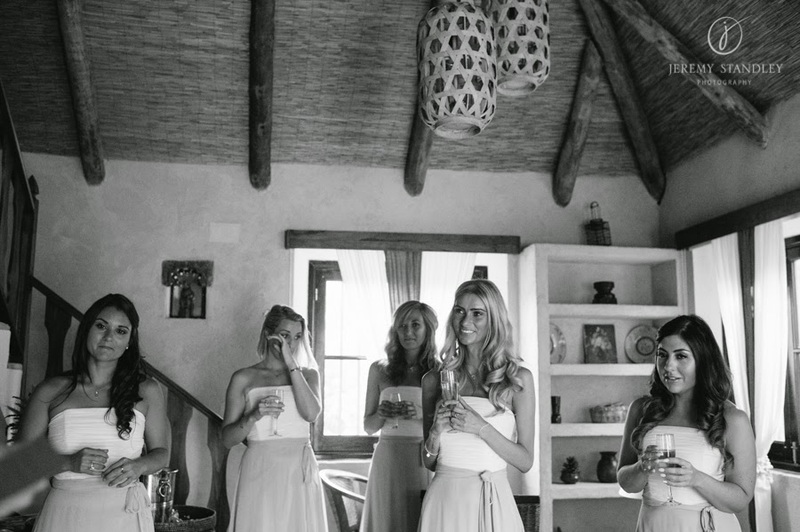 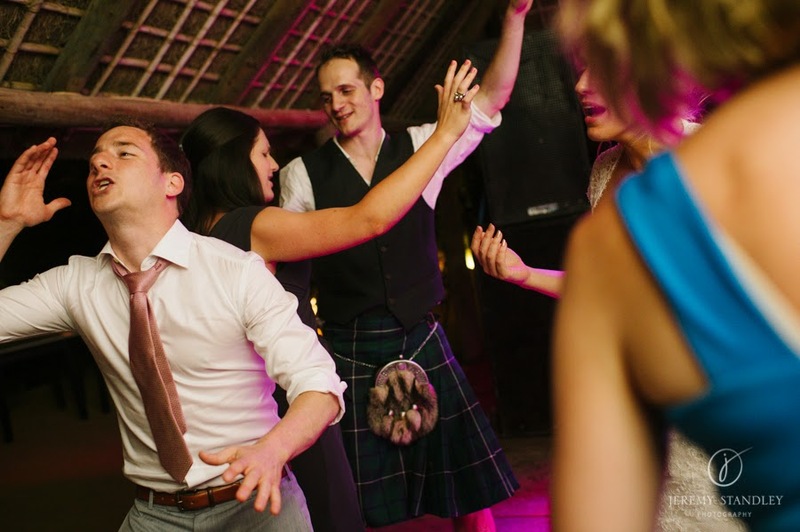 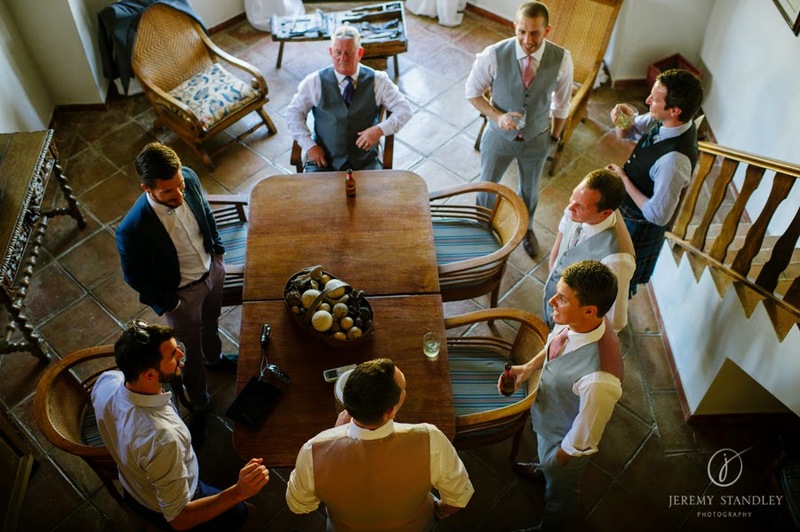 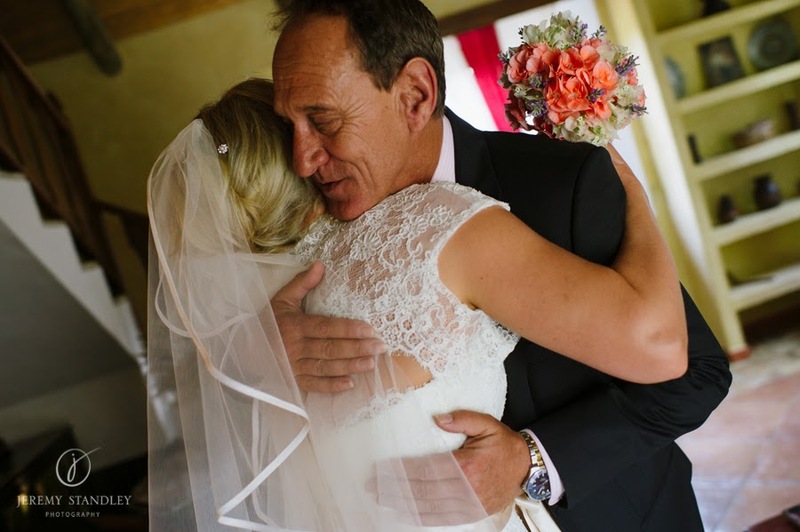 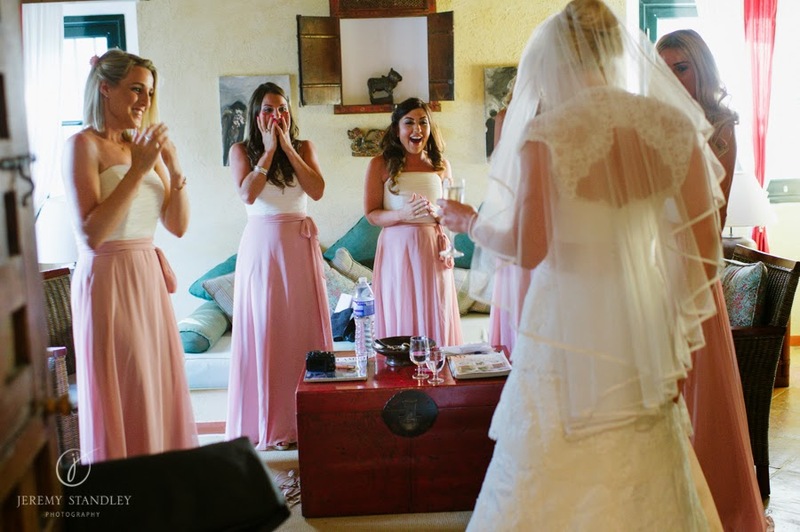 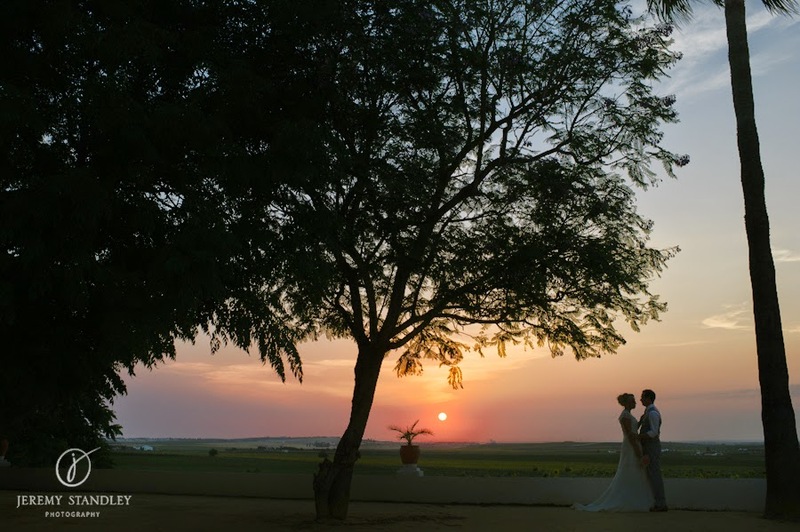 In June we headed back up to Seville, to one of our favourite venues, and had a fabulous wedding weekend putting the final touches together for Matt and Nina's wedding day. 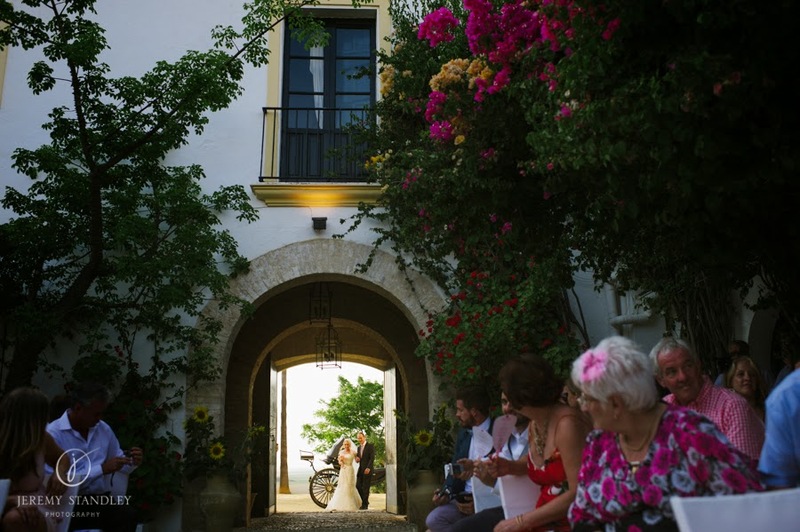 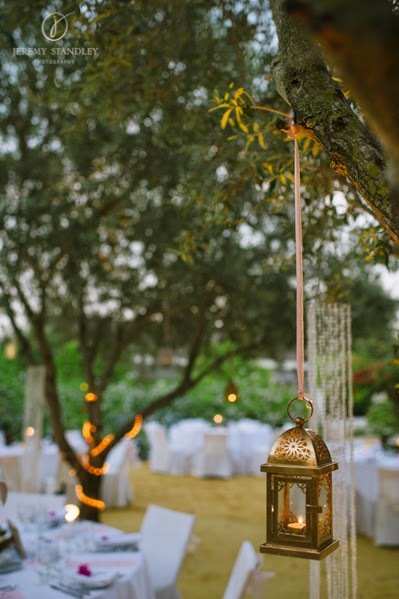 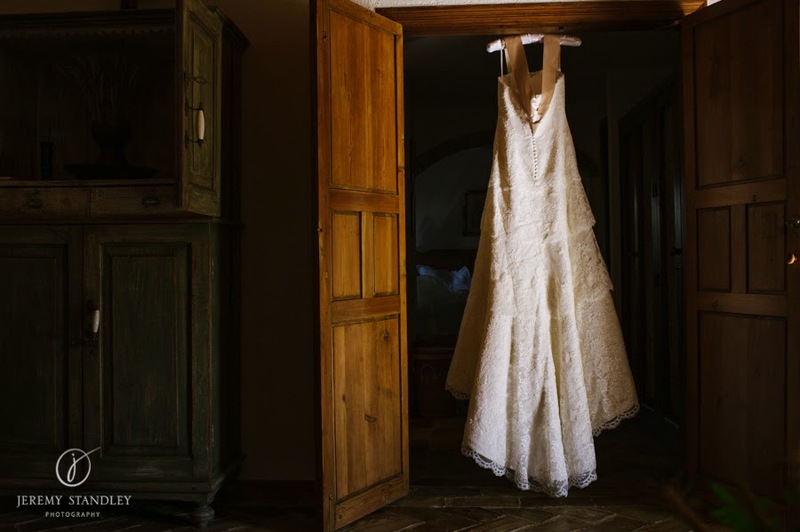 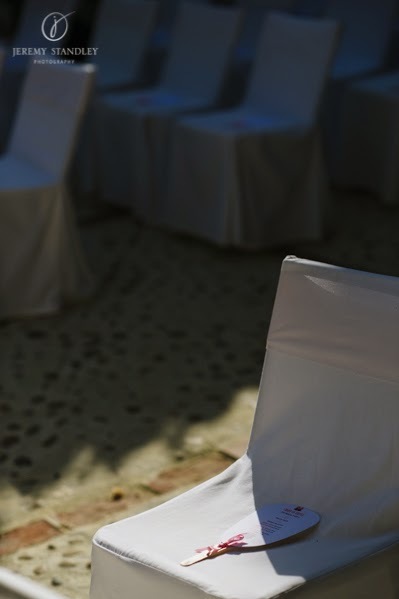 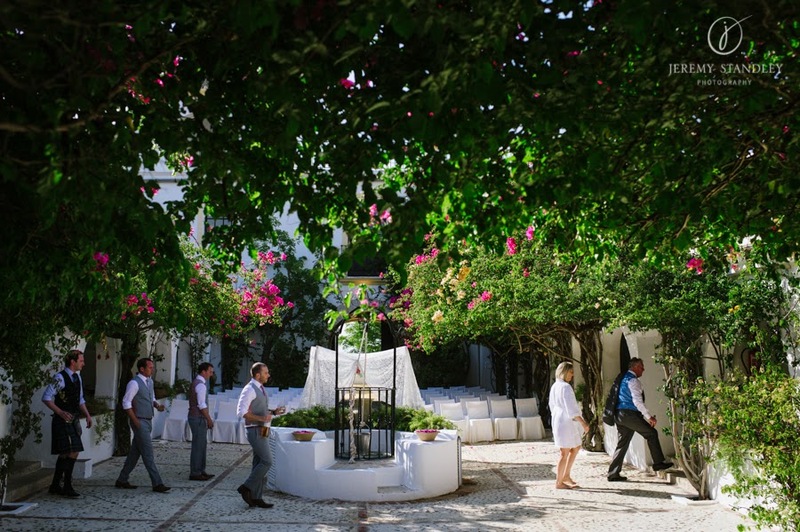 The Hacienda San Rafael is a charming wedding venue, filled with fuchsia bouganvilla, olive trees and surrounded with sunflowers in June, a truly spectacular setting that epitomizes Andalucia. 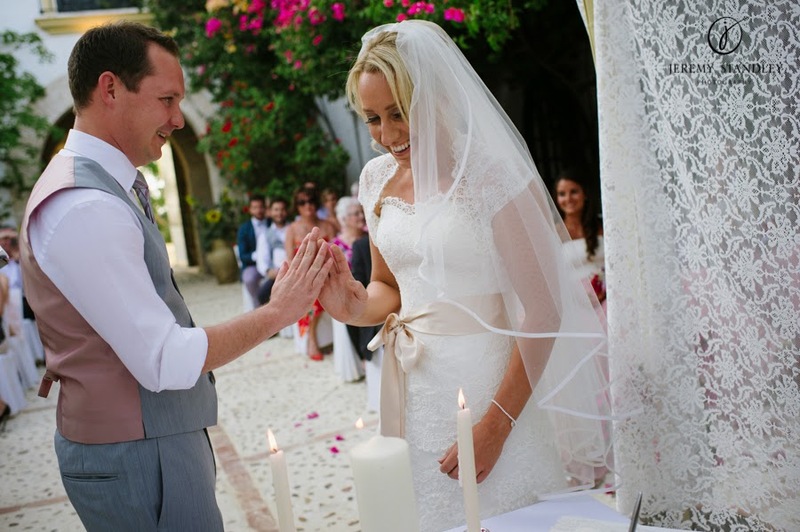 We created a Spanish lace backdrop for Nina and Matt's ceremony held in the courtyard then provided all the finishing touches for the day. 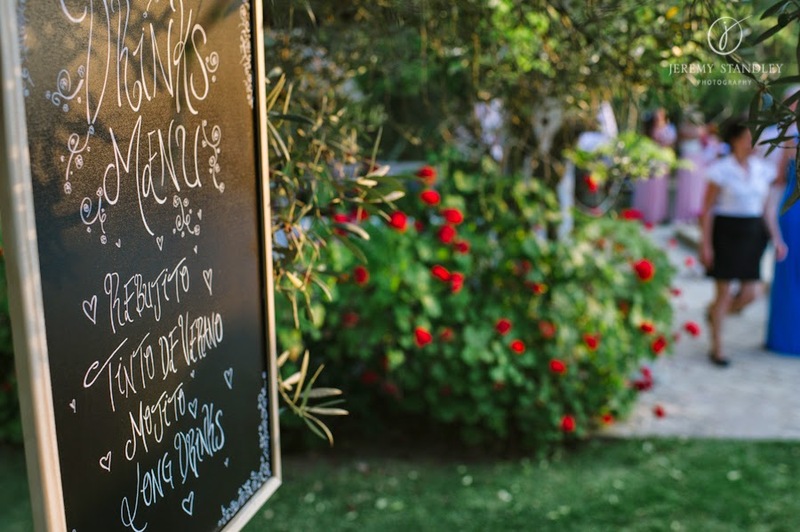 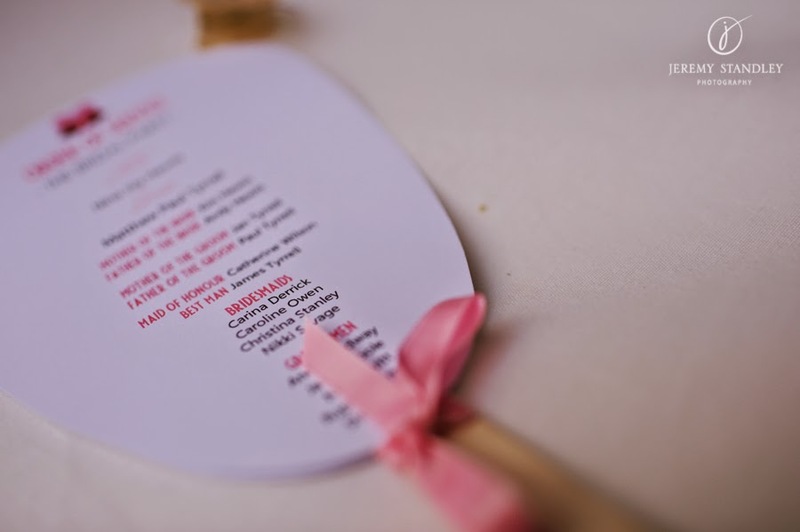 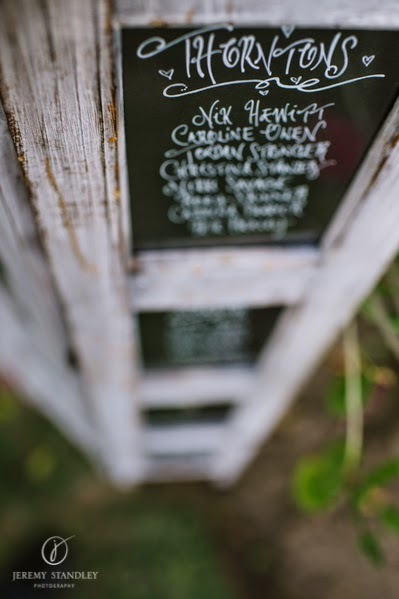 Hand painted menu chalkboard and signs, wedding stationery for the day including paddle fans, ad lib cards and then added in plenty of romantic sparkle with lanterns, candles and gold tealight holders for the tables. 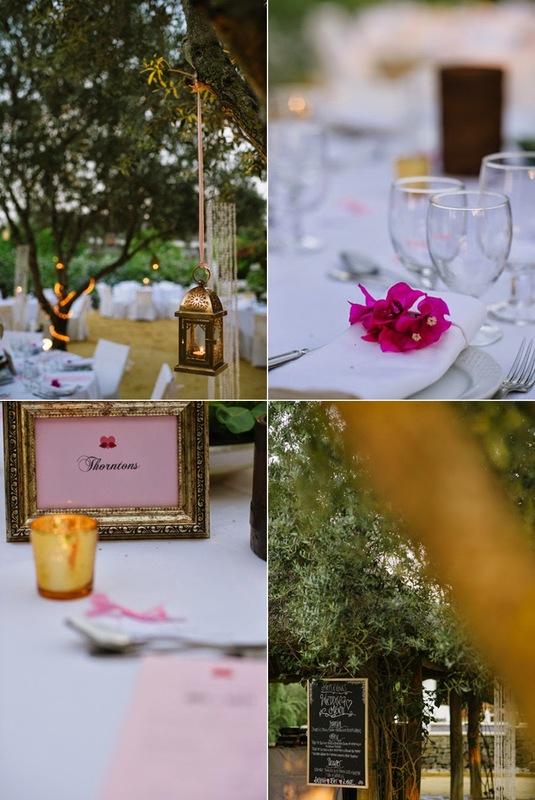 Nina used the flowers from the Hacienda for her table centerpieces and her bouquets were created by one of the charming girls at the venue. 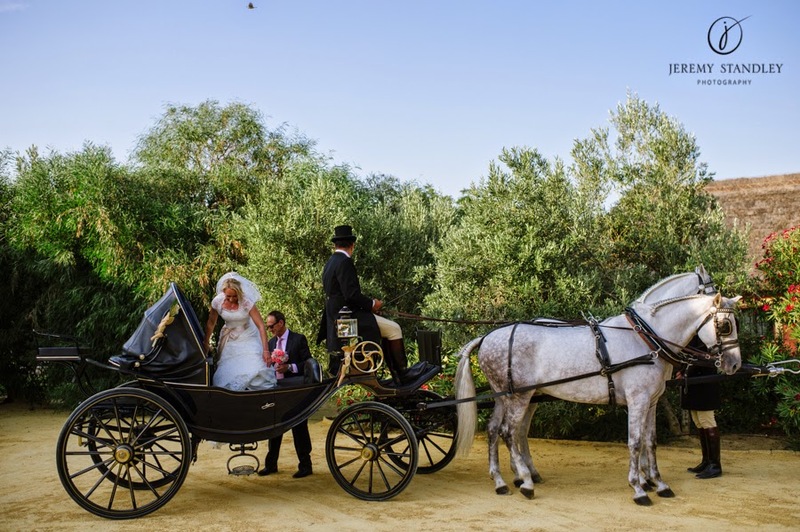 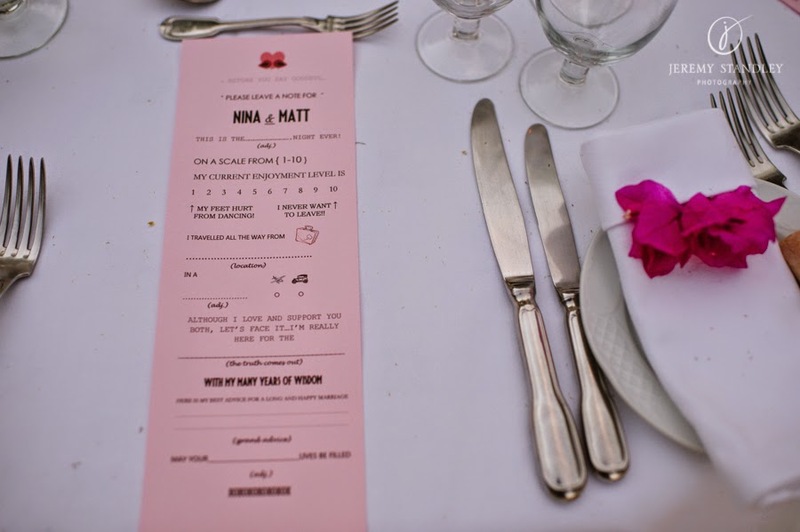 The piece de resistance was the horse and carriage, a complete surprise arranged for Nina and Matt by Nina's parents. 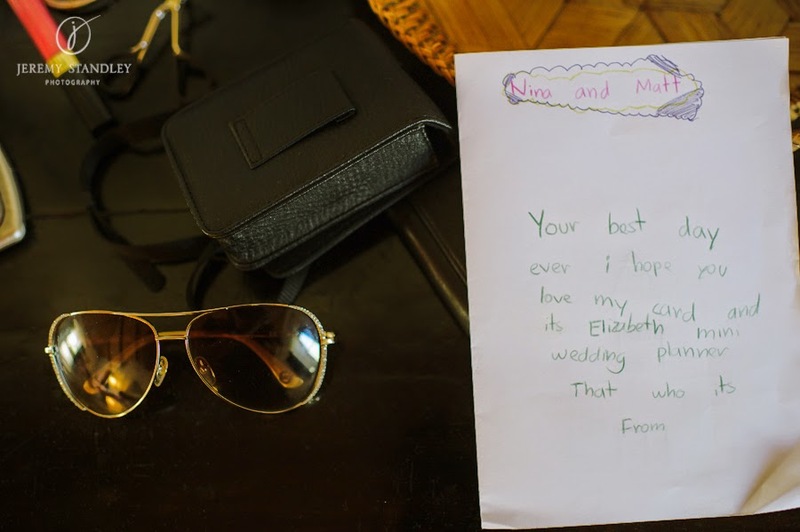 We knew about it of course and had to help rearrange the location of the various parts of the wedding with Nina's mother without giving the game away! 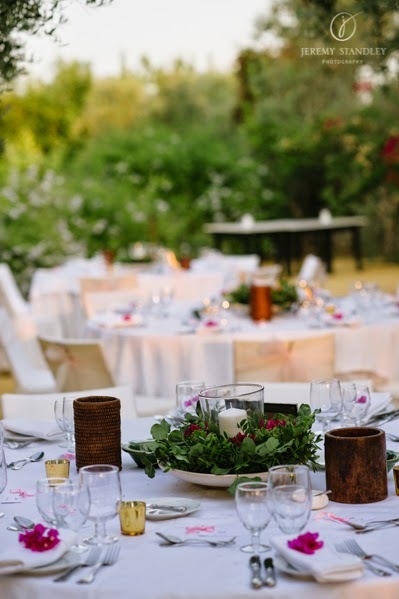 It was a beautiful day as the cocktails, drinks and food flowed, followed by a fabulous party well into the night under the olive trees. 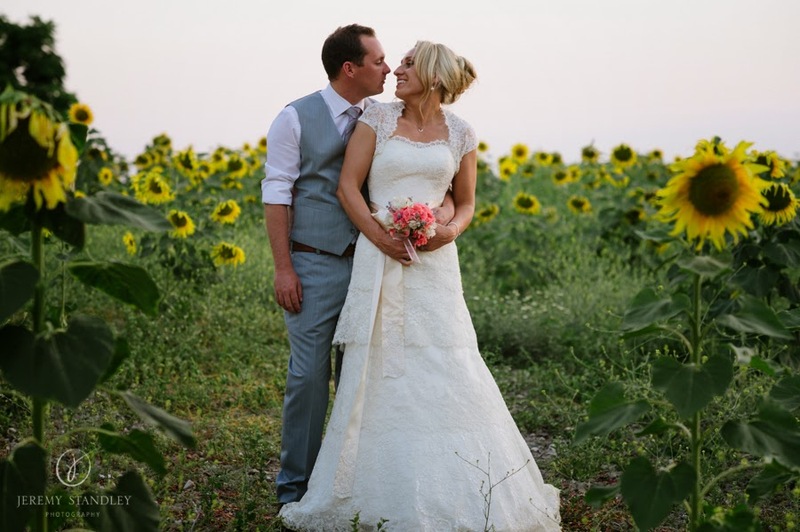 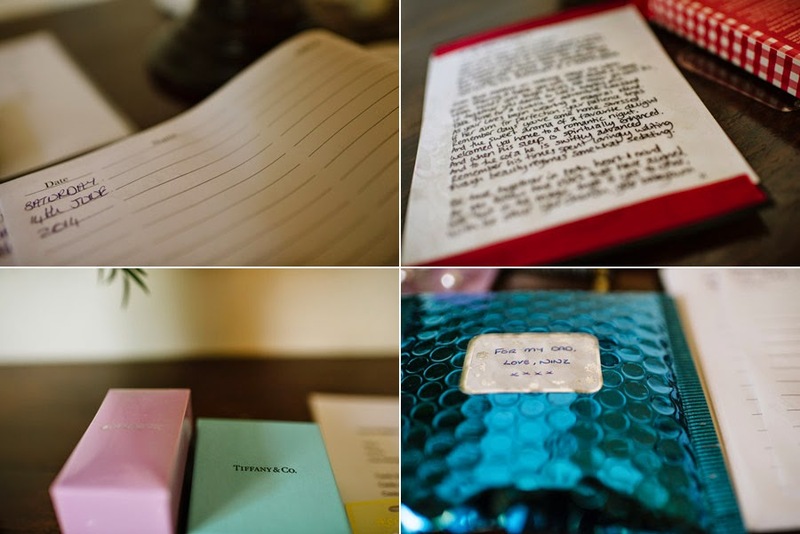 Our thanks to the awesome Jeremy Standley for sharing these wonderful photos with us. 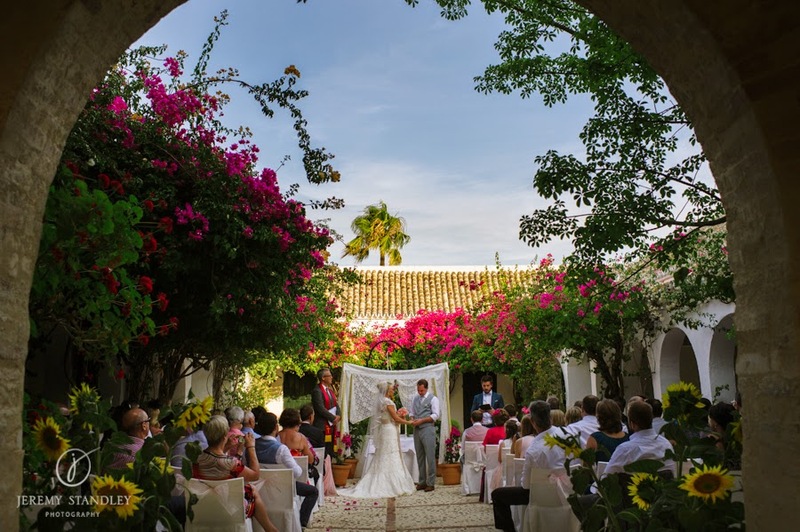 We are off up to Seville again in September and October and very excited to be sharing more weddings with you at this beautiful venue soon.